For more information regarding this event, please telephone Mathematics and Science Learning Centre on 023 8059 8810 or email mslc@soton.ac.uk . For primary teachers, senior management and science subject leaders. Keynote by Prof Janice Griffiths, Chair Elect, The Association for Science Education: What is science capital and how can it support children's learning in and out of school? 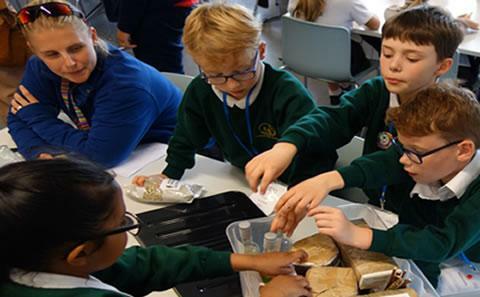 Dr Debs Wilkinson, Senior Lecturer in Primary Science, University of Chichester and the Mary Rose Team - combining History and Science enquiry, as featured in Primary Science magazine (April 2018). Jeremy Thomas, Abingdon Science Partnership Coordinator - showcasing how the Crest Award and Practical Action activities can enrich science teaching and learning in schools. Colin Stevens, Centre Manager at Mathematics and Science Learning Centre— sharing practical STEM ideas to use in the primary classroom.